Welcome! 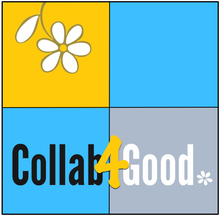 This library is sponsored by Collaboration for Good, Inc. and hosted by Horizon CoWorking. This library is located in Madison, Wisconsin and maintained by Collaboration for Good, Inc.. You are encouraged to set-up an account and borrow books that you wish to read. You check-out the book online, then visit Horizon CoWorking, 7 N. Pinckney Street, 3rd floor to pick it up and to return it. Books are checked out for a 15 day period and can be renewed for another 15 days if no requests have been made for it. Unfortunately, books cannot be returned to the Madison Public Library system, yet.